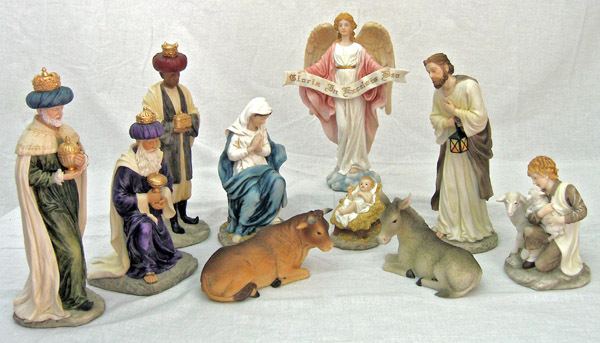 A Nativity, 10 piece set, fully hand-painted colors. From the Veronese Collection. The tallest piece is 10.5".